East Coast Electrical Equipment Company is committed to providing our customer with the highest quality equipment, and the most efficient service. Purchasing from East Coast means you get high-quality, customized electrical equipment at economic prices, backed by years of customer satisfaction and professional assistance. Knowing that downtime in your facility can mean lost revenue, East Coast Electrical Equipment Company can accommodate our customers by providing 24 hour delivery, coast-to-coast. East Coast Electrical Equipment Company starts by analyzing your equipment specifications and need requirements. The correct piece of equipment is chosen from our extensive inventory, disassembled, and remanufactured to meet the industry’s highest standards. Engineering and quality management are involved in the entire process to ensure every piece of equipment meets your applications requirements. We are the nations leader in redesigning medium and large HP electric motors. When a breakdown halts production, or other factors make lead times critical: East Coast’s staff of electrical engineers will redesign a motor for you, and test it to assure that it meets or exceeds new factory specifications. ECEE has North America’s largest stock of New A.C. Medium Voltage Electric Motors in Siemens, General Electric and Baldor/Reliance from 1000-5000 HP. These are in TEFC and WPII enclosures and come with 24 month factory warranties. We also offer from our stock New Soft Start Reduced Voltage Starters Manufactured by Motortronics in 200 amp, 400 amp and 600 Amp 2300/4000 Volt ratings. 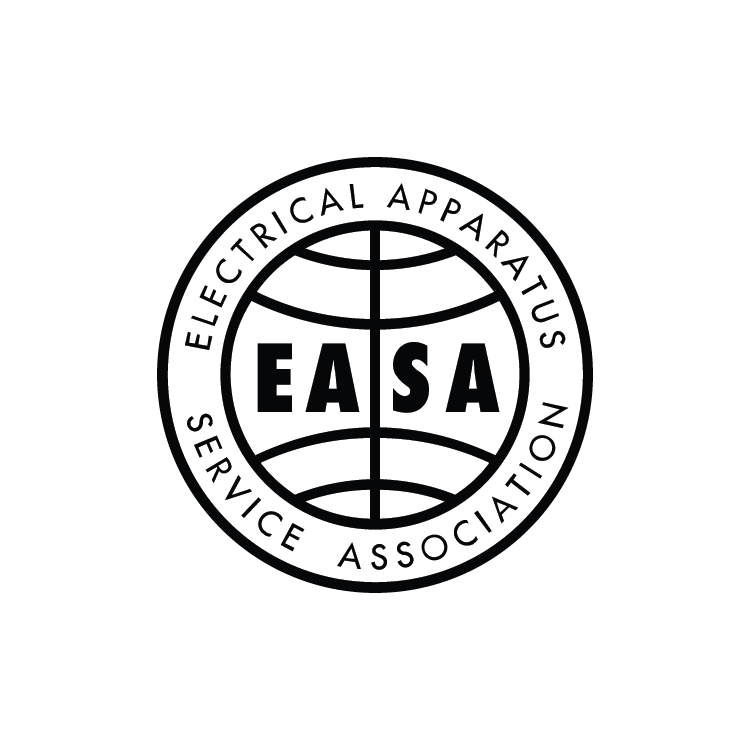 All motors purchased from East Coast Electrical Equipment Company in Used, electrically okay condition means the apparatus operates and complies with the stamped nameplate rating and is capable of passing any or all tests noted in Section 4.3 of “ANSI/EASA Standard AR100-2015: Recommended Practice For The Repair Of Rotating Electrical Apparatus”. No warranty is given or implied as to the motors’ mechanical condition. All “Used, Electrically OK” apparatus is sold as removed from service and will require reconditioning prior to being put into service.